Two hikers and their dog were rescued from the Indian Peaks Wilderness Area in Boulder County Sunday morning. The Boulder County Sheriff’s Office said dispatchers received a call round 5:30 p.m. Saturday from two male hikers with a satellite phone. The pair was attempting to summit Navajo Peak and got on the wrong trail. 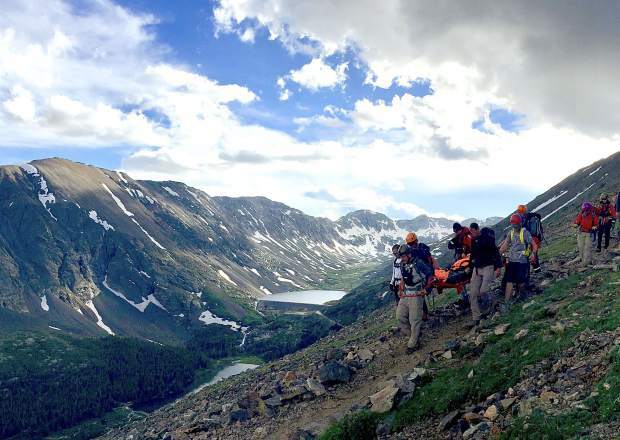 “Rescue personnel from Indian Peaks Fire District, Rocky Mountain Rescue, Boulder County Sheriff’s Office Emergency Services and Flight for Life responded to the area. The Flight for Life pilot was able to locate the two male hikers and their dog near the summit of Shoshoni Peak,” the sheriff’s office said in a statement Sunday morning. The sheriff’s office said the men were “ill equipped” and were wearing shorts and tank tops.